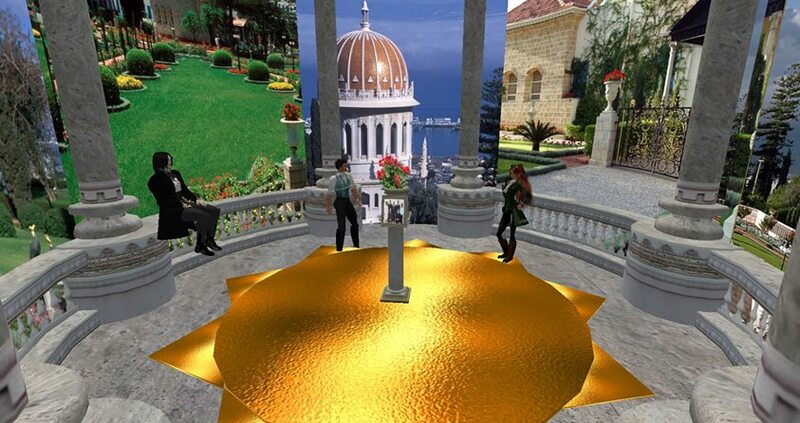 According to the dates on their accounts, the first Baha’is joined the virtual world Second life in 2006, some three years after it was created. The first account we have of formal Bahá’í activities there is the establishment of a “Bahá’í Island”, where regular discussion events were held and posted at Spiritgate, a virtual hub for all things spiritual in Second Life. 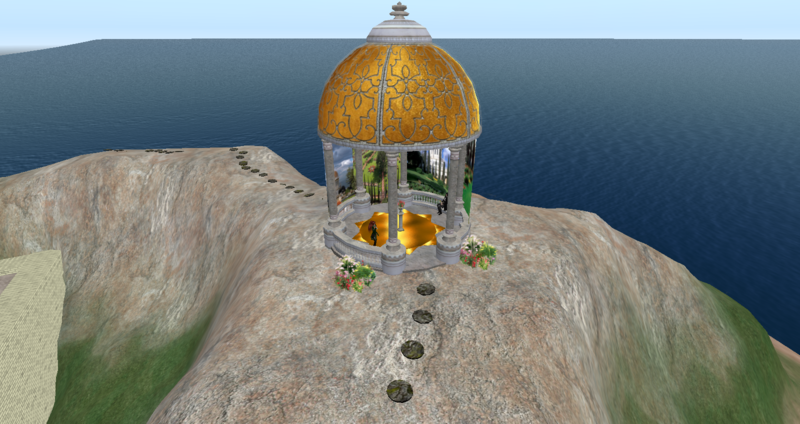 Probably also around 2008, Blue Vale created a Second Life group called Baha’i Society of SL, as a way for the friends to manage Baha’i Island, announce events and keep in touch. The group tag offered to new members was “Friend”. This group fell into disuse for a few years when Baha’i Island was closed due to its high maintenance cost compared to its actual benefits in terms of generating significant activity. 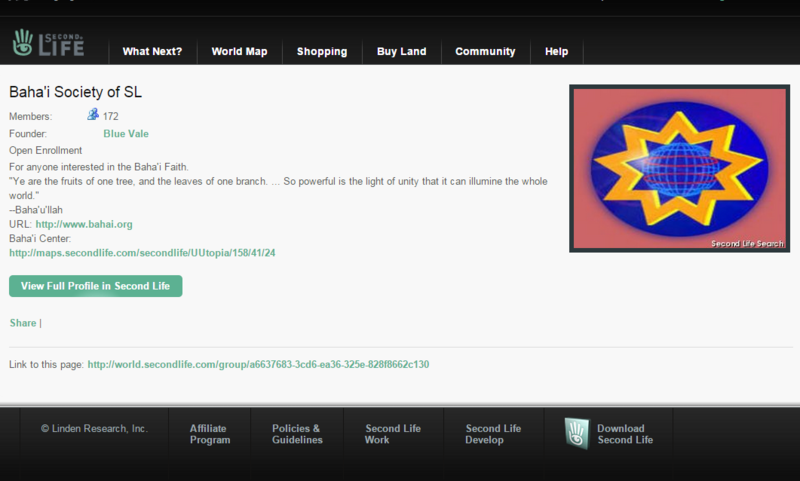 However, the group it was later reactivated through use for Baha’i activities. At this posting it had over 170 members, and was being used regularly to announce multiple weekly events. In 2010, seeking to raise awareness of the plight of the persecuted Bahá’í community and other prisoners of conscience in Iran, human rights activists on Entre Nous Island created a virtual replica of Tehran’s notorious Evin Prison. United4Iran coordinated a “Global Day of Action” solidarity protest, and Memorial displays were set up along a “Path of Honor” spanning the entire island to honor and remember those who lives had been and were still being destroyed by human rights violations, including the seven recently-sentenced Baha’i Amin (Friends).